Another great family recipe. 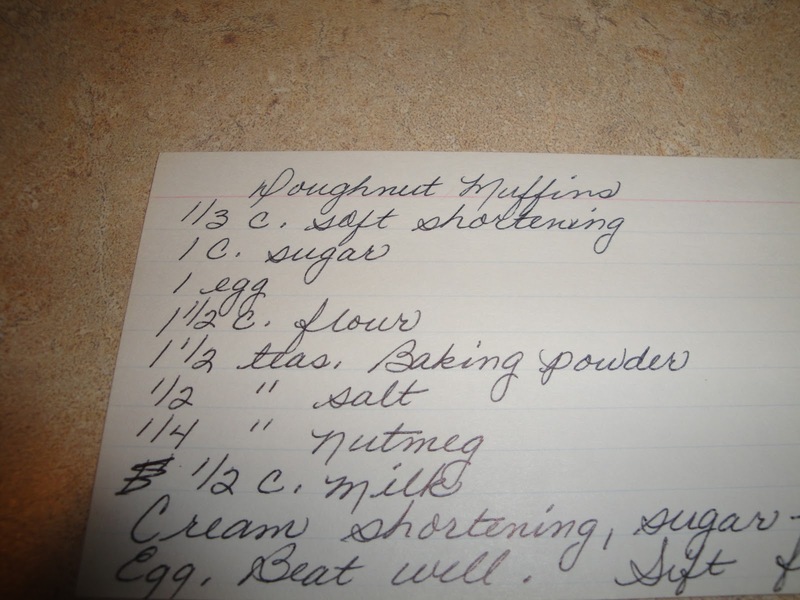 This recipe has been in the family for years. Sure glad it has been, taste great! I'm happy that my family recipes have been passed down through the years. I have a family of wonderful cooks. 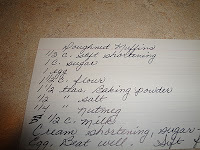 I remember as a young girl, sitting at the table with great grandmother eating doughnut muffins and talking. We would dunk our doughnut muffins in hot chocolate. To this day, I still like to dunk doughnut muffins in hot chocolate. Yummy! Wonderful memories! Bring your kids in the kitchen and bake doughnut muffins. Make those wonderful memories with your kids. You will have fun! Preheat oven to 350 degrees. Lightly spray muffins pan with your favorite non stick cooking spray. Cream shortening, sugar. Add egg to shortening and sugar. Beat well. Sift flour, baking powder, salt and nutmeg. Add to mixture. Stir. Bake for 20 to 30 minutes. Remove from oven, Brush with melt butter, then sprinkle with sugar and cinnamon mixture. Makes 12. Enjoy! Yumm! We made a version of these last week, they are so good. What a nice story of sharing them with your grandmother, the hot chocolate dipping sounds tasty. Next time we make them, we will definitely try that idea, thanks for sharing! This sounds yummy! Will have to give this a try on Sunday. I also like the story and picture. Thanks.